Tullibardine distillery was built in 1949 by the architect William Delmé-Evans annd C. l. Barret. The former went on tobuld Jura distillery in 1860. Tullibardine is situated just off the A9 at Blackford in Perthshire, a short distance from the famous Glenagles gold course. 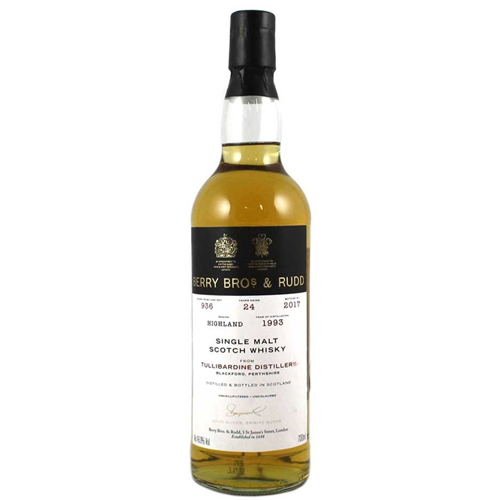 This whisky has a light floral aroma with notes of soft vanilla, traces of anise an honey. The palate is smooth and nicely rounded with emerging sweet fudge tablet laced with liquorice. The finish is graceful and lingering.